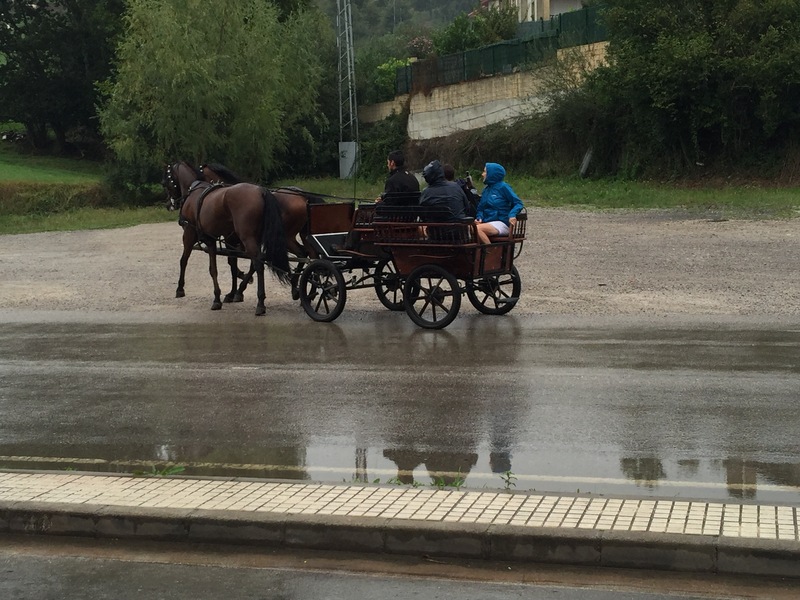 Our plan this day was to make it to the small town of Güermes, or about halfway to Santander. There was a highly rated albergue with rumors of comfortable beds, good food and a warm welcome. 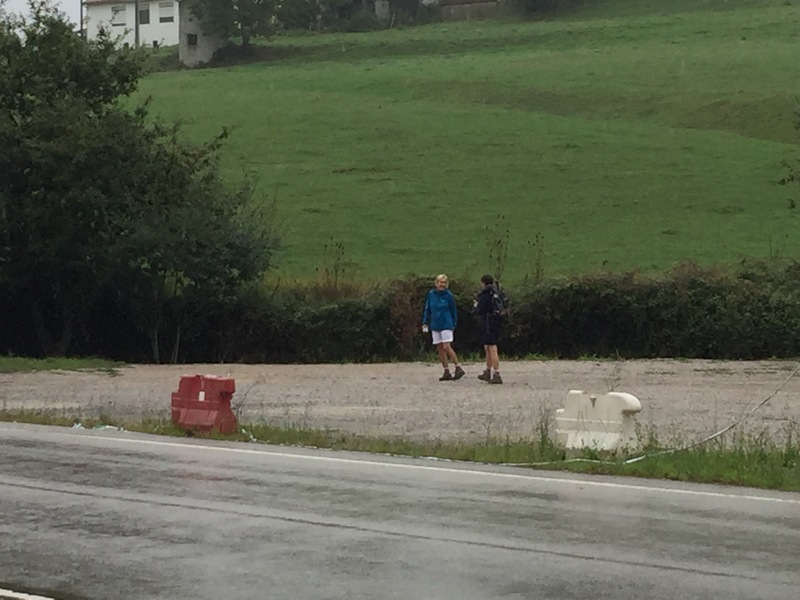 After a long, wet walk in blowing rain (therefore no pictures today) we came upon the albergue high on a hill in the middle of a group of farms. No town of Güermes appeared on the horizon, nor did it the next day when we departed. As for the warm welcome, hmm, people either exaggerated or had a totally different experience from us, but that’s another story in itself. The albergue consisted of several separate dorm-style rooms with a separate building for showers and toilets. Our “dorm” was made up of 16 beds, all about 15 inches apart. So yes, four women surrounded by 12 men, many of whom were either snoring or providing other such nocturnal emissions. Sleepless in Güermes. Forgot I took these pictures when we stopped to grab some lunch. 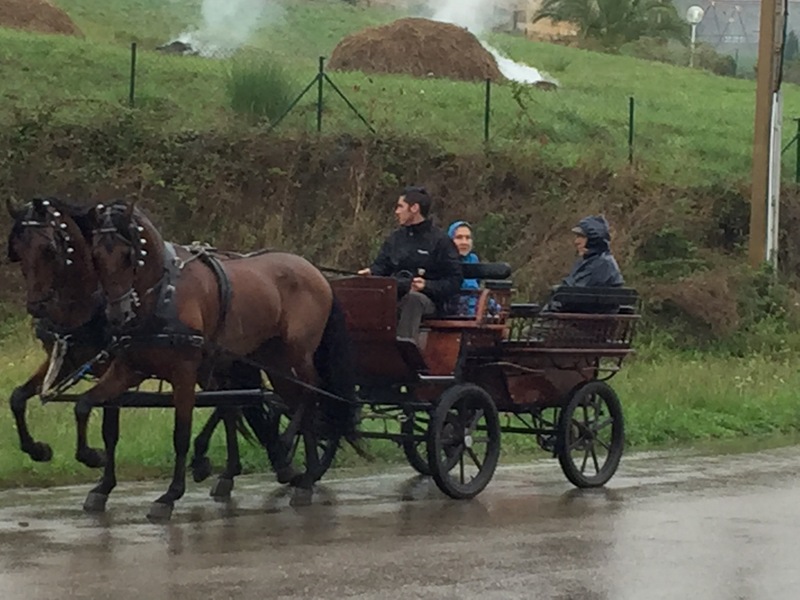 This is an alternative form of transportation for the Camino pilgrims. Tempting. . .